Many of us grew up hearing the old cliche “less is more,” applied to all sorts of situations; though, few actually believed it (sometimes, more is more, when it comes to, say, a delicious chocolate bar or delightfully over-the-top outfit). Yet, the philosophy seems to hold out when it comes to marijuana. For people who want the medical benefits of THC without the high, less is certainly more—and it’s called microdosing. What is microdosing with cannabis? Microdosing is exactly what it sounds like: People taking tiny doses of marijuana — doses so small that they don’t even get you high. Dustin Sulak, D.O., a doctor who prescribes cannabis, describes it as “precision dosing.” If you do it correctly, you can take just enough cannabis (either a combination of THC and CBD, or solely THC) so that it offers some health benefits but doesn’t affect your mental clarity or focus. Why bother with marijuana if you aren’t getting high? “A lot of the people who are using cannabis don’t want to be impaired,” Dr. Sulak says. There are plenty of health reasons people take THC, he says, including stress, anxiety, insomnia, menstrual cramps, and pain relief. Small doses of THC can help relieve pain from headaches, muscles soreness, and even nausea. THC can also help people suffering from mental illnesses feel less anxious or depressed, and some people even find that taking small hits of marijuana helps them be more creative, focused, and motivated. Given its recent popularity, some people may prefer using CBD to microdosing THC for benefits like pain relief or reducing anxiety. Choosing one over the other is personal preference, Dr. Sulak says, but microdosing could be less expensive. Most people need a high dose (between 10 and 100 milligrams) of CBD to feel the effects, but with THC, they’ll need a significantly lower dose to feel the intended effect. Microdosing can sound too good to be true, because it can be helpful for so many conditions, Dr. Sulak says. That’s because small doses of THC mimic natural compounds in our bodies from the endocannabinoid system. “The strategy with microdosing is to help part of our healing system to work more efficiently,” Dr. Sulak says. How do you microdose, exactly? Learning how to microdose can be a process; It might take you some time to figure out what dosage is right for you because everyone’s body is different and so the microdose that works for one person might be too much or too little for another. “Almost everyone will have a dose that provides those [health] benefits and then a higher dose that provides [psychoactive] side effects,” Dr. Sulak says. The goal with microdosing is to avoid those psychoactive effects, which means you have to be very precise. 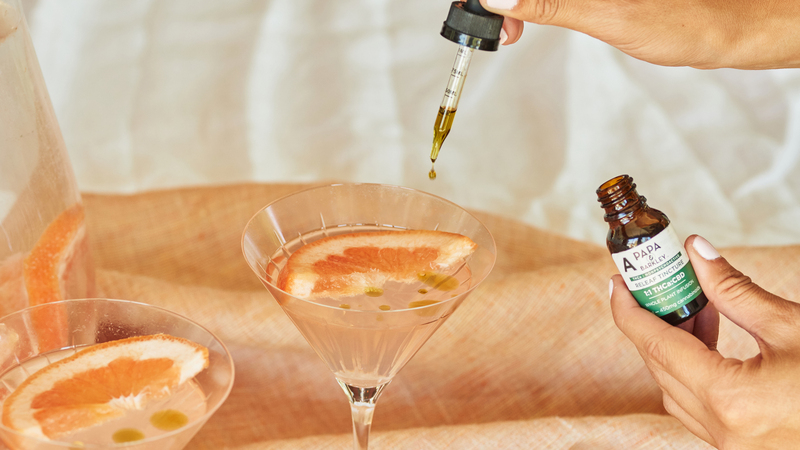 Dr. Sulak suggests using a tincture or oil so it’s easy to count the number of drops you’re ingesting, though low-dose edibles can also be useful for microdosing. Dr. Sulak recommends starting with just one milligram, two to three times a day. If that doesn’t seem to be working, increase to two milligrams, and so on. About 90% of people will be able to microdose between one to five milligrams of THC, Dr. Sulak says. “But some people may have built a tolerance through recreational use, or have a natural tolerance,” he says. If that’s the case, a microdose might even be as high as 10 milligrams. The risks of dependency and building up a tolerance are very low with microdosing. So, if you’re in chronic pain or want a way to manage depression or anxiety, Dr. Sulak says it’s safe to microdose every day.